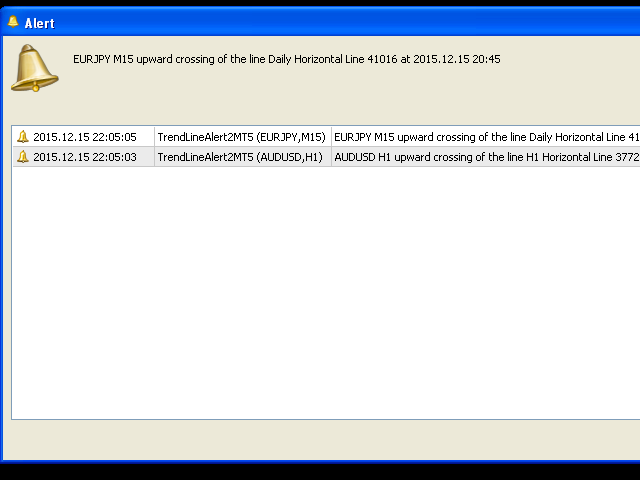 New version of the indicator TrendLine Alert for MetaTrader 5. 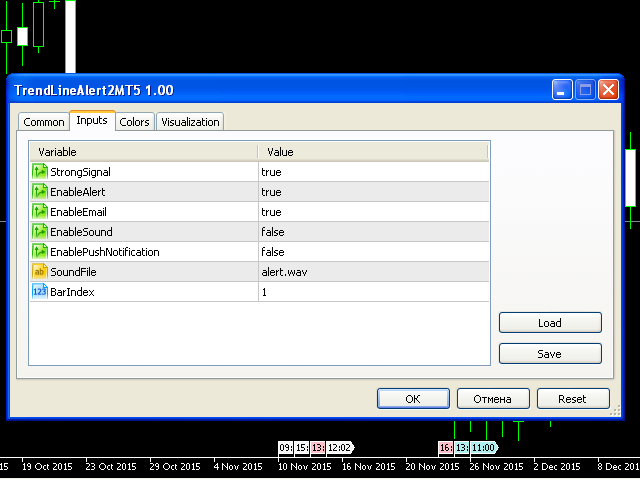 It displays alert - Alert, sends E-mail and Push-notification, and plays a sound file when the price crosses a user defined line (horizontal or trend), added on the chart manually. You can specify the index of the bar on which the intersection (BarIndex) is checked. If you want to check the current bar, BarIndex = 0, if the last closed, BarIndex = 1.